Images have been released of the reddish-brown amorphous mass. But its level of radioactivity is still unknown, which means that TEPCO has not even reached the earliest stage of its reactor decommissioning process. I am acutely reminded again of the magnitude of this irreversible mess. The technology we are left with is an out-of-control monster. And so long as nuclear power plants remain in operation, there is no guarantee that the same nightmare will not recur–even as we speak. The operator of the damaged Fukushima Daiichi nuclear plant says a probe made direct contact with substances believed to be fuel debris at one of the plant’s reactors. TEPCO has already confirmed the existence of deposits believed to be a mixture of molten nuclear fuel and structural parts at the bottom of the reactor’s containment vessel. In Wednesday’s survey, a pole that can extend to 15 meters was sent under the reactor, and the probe was lowered from the end of the pole. TEPCO plans to take out a small amount of the deposits with a different device in the latter half of the next fiscal year to use them as samples for study. Officials say the probe was able to touch the deposits without any major trouble. This is a key survey for devising a way to remove radioactive deposits. They say they looked into the deposits’ hardness and whether they can be moved. “The probe lifted pebble-like nuclear fuel debris and structural parts up to 8 cm in diameter at five spots in the 2,500-square-cm area that was investigated. It failed to pick up debris at one spot. TEPCO said the probe could not lift clay-like debris likely because it had adhered to the bottom of the containment vessel. The probe also touched nuclear fuel debris lying at several spots on the lattice-shaped scaffold for workers directly below the reactor’s pressure vessel. The previous investigation of the No. 2 reactor in 2017 located melted fuel debris on the scaffold. But a robot deployed for a further investigation broke down on its way to the debris. In a survey last year, the utility used the rod-like probe to take images of the inside of the reactor. 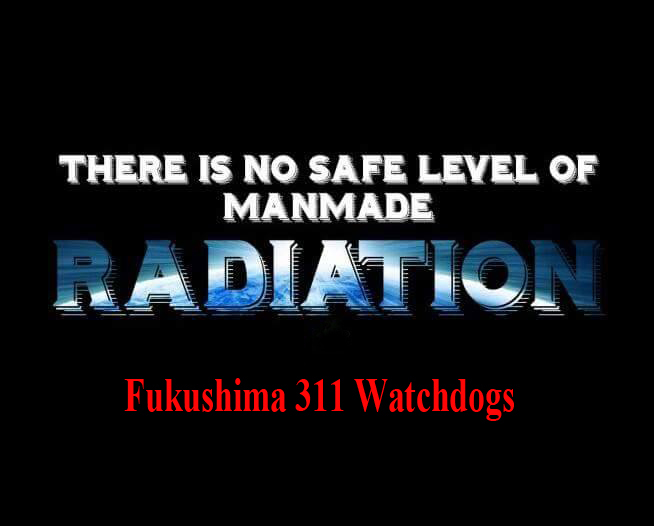 TOKYO — Tokyo Electric Power Co. (TEPCO) on April 26 released footage taken inside the containment vessel of the No. 2 reactor at the disaster-hit Fukushima No. 1 Nuclear Power Plant, showing spots where molten fuel appears to have fallen through the reactor pressure vessel. Photos and video footage show deposits — believed to be fuel debris — at the bottom of the containment vessel. In two spots, the debris is piled higher than in other places. TEPCO officials said they suspect that the bottom of the pressure vessel, situated at the upper part of the containment vessel, was damaged in more than one place, which allowed melted fuel to fall into the containment vessel. TEPCO captured the images in January using a camera attached to a pipe inserted into the containment vessel, and found deposits spread across the bottom of the vessel. The nuclear plant operator will use a robot arm to analyze the containment vessel in more detail. Inside the bottom of the containment vessel in the No. 2 reactor of the Fukushima No. 1 nuclear power plant in January, revealed fully by new image processing. The bottom of the inside of Fukushima No. 1 nuclear plant’s crippled No. 2 reactor has been revealed in a much clearer and wider range in footage released by plant operator Tokyo Electric Power Co. on April 26. The film shows the clearest pictures yet inside the containment vessel just below the pressure vessel of the nuclear reactor, which went into meltdown due to the 2011 earthquake and tsunami disaster. Melted nuclear fuel debris is seen attached to pillars, walls and the ceiling, and accumulations between approximately 40 and 70 centimeters thick are piled up and cover the whole floor. TEPCO captured the footage on Jan. 19 by attaching a remote-controlled camera to an extendable rod with a span of 16 meters into the containment vessel from an opening in its side. Excerpts were released at the time, but new processing of the footage has revealed a much clearer picture. In the bottom of the containment vessel, fuel debris has fused to some areas particularly thickly. It is possible that the bottom of the reactor has several holes that caused the debris to fall and solidify as it cooled. The improved knowledge of the nuclear reactor’s state will help to calculate an estimate of the amount of the debris inside, and suggest at how it could be removed in the future. TEPCO hopes to start its next investigation inside the reactor within this fiscal year. It has been almost seven years since this deadly magma was created thanks to the imbecility of men. 7 years that we talk about it without ever really seeing it. And now Tepco, in January 2018, unveils, for the first time and in a very discreet manner, some very telling images of the corium of Fukushima Daiichi’s reactor 2. At first, all the media published again the photos provided by Tepco, where one sees for example a piece of a fuel assembly’s handle. It was deduced that the rest had melted but nothing more could be said. In a second time, 3 days later, Tepco added a video of 3 minutes 34 that shows a selection of footage filmed inside the containment. In this video, we see very precisely corium flows that have solidified on metal structures under the reactor vessel. The camera that filmed this hyper-radioactive material was designed to support 1000 Sieverts. But this device can not hide the ionizing radiation that forms many random clear points on the film. The men who manipulated the probe outside the containment were certainly irradiated because the dose rate is still very high in the reactor. But Tepco has not yet released this information. Finally, it spread to the bottom of the containment by cutting into the concrete. And there, we lose track because the investigations could not go further. Has it gone far off the ground plate ? Did it join the toric pool by the pipes connecting the enclosure and the pool? Let’s not forget that an explosion was heard by technicians on March 15, 2011 at 6:10 from reactor 2. Steam explosion? Do not forget that the water that is injected continuously to cool the corium does not fill the enclosure because it is no longer intact.The water is permanently contaminated by the corium, before reaching the bottom of the plant and the groundwater. Let’s not forget that this moving groundwater flows into the Pacific, despite the ice wall, which is not perfectly watertight. It will be observed that Tepco has not yet dared to provide a picture of the hole in the reactor vessel. It’s like the explosion of reactor 4, there are things that are better not to be disclosed because they tarnish the image of civil nuclear. In the same manner, the people in charge of communication preferred to broadcast uncertain images on the 19th of January rather than these very interesting images which I extracted from the video. Certainly, robotics in a radioactive environment has made real progress, but that hides the reality: we have not yet invented the machines that can dismantle the Fukushima Daiichi nuclear plant. And the forty years promise to complete this dismantling will certainly be insufficient. Let’s not forget that there are all in all 3 coriums to recover and 3 swimming pools full of fuel to empty. While Tepco “amuses” us with its technique, Tepco hopes to release 1 million tons of radioactive water in the Pacific that it has collected on the site, as if this ocean had not already suffered enough. It also makes it possible to forget the thousands of people suffering from thyroid disorders or other various pathologies due to radioactivity and the tens of thousands of displaced people who are being forced to return to contaminated territories. Let’s wait for the big communication from TEPCO: the athletes of 2020 (Tokyo Olympics) must be amazed by the Japanese hyper-technicality so as to forget the basic dangers of ambient radioactivity. The operator of the damaged Fukushima Daiichi nuclear power plant says it has found what looks like fuel debris in the plant’s No. 2 reactor. The nuclear accident occurred in March, 2011. Tokyo Electric Power Company, or TEPCO, on Friday looked inside the containment vessel of the No. 2 reactor. TEPCO confirmed, for the first time, the existence of chunks that are believed to be a mixture of melted nuclear fuel and parts of bindings. The company plans to determine how to remove the debris based on the results of the investigation. Some of the fuel in the damaged unit 3 of the Fukushima Daiichi plant has melted and dropped into the primary containment vessel, initial results from using a muon detection system indicate. Part of the fuel, however, is believed to remain in the reactor pressure vessel. Tepco said the results obtained from the muon measurements together with knowledge obtained from internal investigations of the primary containment vessels using remote-controlled robots will help it plan the future removal of fuel debris from the damaged units. In more than 6 years they have not been able to really find yet the melted fuel, despite their beautiful PR stunt last week, and now they talk about which techniques to use to remove it. Maybe they should better find it first before talking about how to remove it, that is if most of it has not been already vented and projected into our skies. More than six years after three nuclear reactors melted down in Japan, the country is homing in on the lost fuel inside one of them. Japan’s biggest utility and owner of the wrecked Fukushima Dai-Ichi plant, Tokyo Electric Power Co. Holdings Inc., last week released images that for the first time showed what’s likely melted fuel inside the No. 3 reactor. If confirmed, the nation will have to devise a way to remove the highly radioactive material, a mixture of melted nuclear fuel and reactor debris known as corium. The cleanup process that may last 40 years and cost 8 trillion yen ($72 billion) will require technology not yet invented. The search for the fuel has left a trail of dead experimental robots specifically designed to find and photograph the estimated combined 600 metric tons of fuel and debris in the three melted reactors. While the No. 3 reactor was the last unit to be probed, its the first to produce a strong indication of where the fuel came to rest. The removal process is slated to begin in 2021. Long-handled devices guided by a television monitor system were developed to remove fuel core debris at Three Mile Island in the U.S. after its 1979 meltdown. The so-called defueling process took from 1985 to 1990 and involved removing the partially melted fuel core from inside the pressure vessel of the No. 2 reactor, which remained intact. Fukushima offers a more complex challenge since three reactors suffered total meltdowns, with melted fuel rupturing pressure vessels and falling to the bottom of the units. No such effort is being made at Chernobyl, where a concrete sarcophagus was used to entomb the wrecked plant that melted down in 1986. Technology research and development should focus on removing fuel through the side, the Nuclear Damage Compensation & Decommissioning Facilitation Corp., Tepco’s top government shareholder, said Monday. That method is safer for workers than flooding the reactor, which would also require the management of radioactive water. Japan will decide how it will remove the fuel by September, Industry Minister Hiroshige Seko said after the discovery last week, according to national broadcaster NHK. A method to remove melted nuclear fuel debris on the bottom of the containment vessels of Fukushima No. 1 Nuclear Power Plant’s first, second and third reactors from the side was proposed by the Nuclear Damage Compensation and Decommissioning Facilitation Corporation (NDF) on July 31. Hajimu Yamana, head of the NDF, which is tasked with considering how to remove fuel debris from the reactors, for the first time explained the organization’s specific method proposal to the heads of local governments at a countermeasures for the decommissioning and handling of the contaminated water council meeting held in Iwaki, Fukushima Prefecture. The method would focus on prioritizing the removal of debris from the bottom of the vessels from the side, using robotic arms and other remote devices while flushing water over the debris. However, ways to block radiation and countermeasures against the scattering of airborne radioactive dust still remain unsolved. The central government and Tokyo Electric Power Co. (TEPCO) plan to finalize their policy to remove the debris and amend the decommission schedule in September. This underwater robot was used in the recent probe of reactor 3 at the Fukushima No. 1 power plant. The first images of melted fuel from the crippled Fukushima No. 1 power plant indicate that it did not burn through the pressure vessel of reactor 3, but exited through the holes used to insert the control rods, officials say. While the landmark robot footage from the primary containment vessel of unit 3 is helping Tokyo Electric grasp the reality of the damaged fuel assemblies, it may also force it to rewrite the road map for decommissioning the meltdown-hit plant. Tokyo Electric Power Company Holdings Inc., better known as Tepco, sent an underwater robot into reactor 3 earlier this month to confirm its hypothesis that the core — the fuel assemblies in the pressure vessel — broke apart and fell to the bottom, letting molten fuel burn through and drip into the primary containment vessel. According to Tepco spokesman Takahiro Kimoto, however, the images taken beneath the PCV indicate the pressure vessel probably withstood the heat of the molten fuel. He said the fuel apparently seeped through the holes for the control rods. “We do not presume that the vessel, which is 14 cm thick, melted and collapsed together with the fuel, but that part of the fuel instead made its way down through holes,” Kimoto said. The control rods are used to moderate the chain reaction and are inserted vertically into the core. Tepco said it estimates reactor 3 has about 364 tons of fuel debris, and that similar amounts will be found in reactors 1 and 2. Removing the fuel from the reactors is the largest challenge in defueling the aged plant — a process that could take up to 40 years to complete. The camera on the underwater robot also captured images of rubble around the fuel debris, which could slow the removal process. The rubble includes devices for supporting the control rods at the bottom of the PCV and scaffolding for maintenance workers beneath the pressure vessel. Minister of Economy, Trade and Industry Hiroshige Seko said the government and Tepco will try to draft a plan for removing the melted fuel in September, with an eye to hammering out the specifics in the first half of fiscal 2018 and starting the work in 2021. But the findings from reactor 3 may force them to alter the state’s road map for decommissioning Fukushima No. 1, officials said. An entity providing technical support for the project has urged that efforts be made to remove the melted fuel from the submerged lower part of the PCV by keeping air in the upper part, according to a source familiar with the plan. Although filling the PCV completely with water would largely reduce the radiation risk to the robot probes, the Nuclear Damage Compensation and Decommissioning Facilitation Corp. is reluctant to do so because it is damaged and the toxic water will just leak out, the source said. At the other two reactors, Tepco thinks most of the fuel in reactor 1 fell to the bottom of the primary containment vessel, and that some of the fuel in reactor 2 remained in the pressure vessel. The company made the estimates based on cosmic ray imaging analysis and by sending robots and endoscopes into the PCVs of the two reactors.